Online web forums and social media contain substantial real-life experiences from patients and caregivers which provides meaningful insights to understand how they feel about a particular disease, drug, supportive therapy, and other treatments. There is a growing interest among patients and the healthcare community to understand such information. 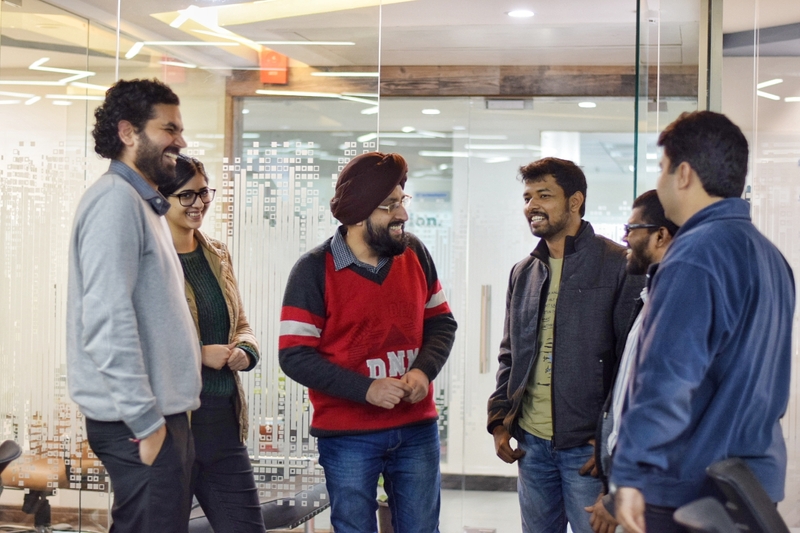 With a mission to empower patients with knowledge, Dr Alok Aggarwal founded Voice of Cancer Patients (VoCP) that organise and analyse this data to help patients make better decisions. Using Artificial Intelligence-based techniques, the company’s VoCP platform for cancer patients analyses millions of such patient conversations and provides meaningful insights for patients, caregivers, health-care providers, and payers. 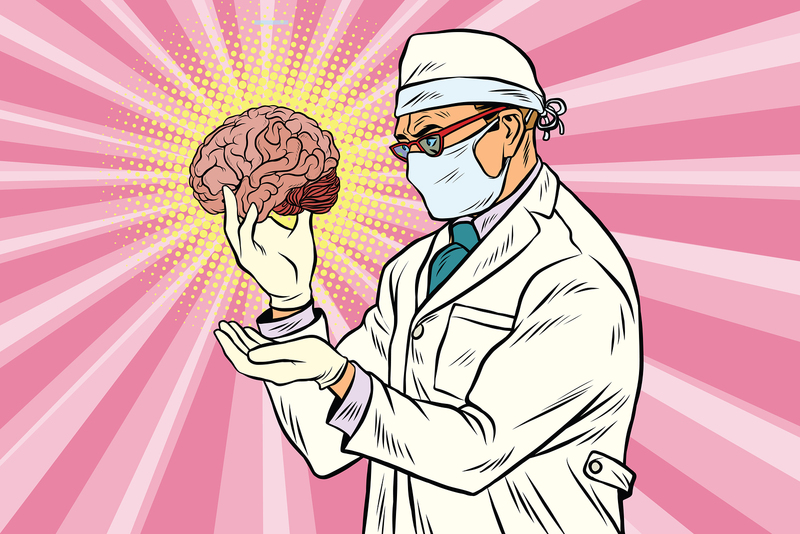 “With the increasing reliance of patients on online information about their diagnoses and treatments, it has become imperative for healthcare and pharmaceutical professionals to get insights into what patients are feeling and how they are reacting to various treatments and drugs,” said Dr Alok Aggarwal, CEO and Chief Data Scientist. The VoCP platform is not only limited to generic online platforms, but it can also ingest and analyse social media data that is provided by Twitter, Facebook, Reddit, YouTube, Instagram etc. as well as blogs, news, articles, and scripts from more than 50 different languages. Voice of Cancer Patients initially started with a five-member team, offering insights on breast cancer from over a million conversations across various web forums. And today, in less than two years, the team has grown to 18, offering insights from over 15.6 million conversations from 110+ websites covering 22 cancers, 2,652 drugs, 14,106 side effects, and 2,608 supportive therapies. “Last year, we have come up with multiple studies that have been presented in various prestigious conferences such as ASCO Breast Cancer Symposium, San Antonio Breast Cancer Symposium, Stanford’s Bio-Medicine conference,” said Dr Alok. Furthermore, the VoCP platform hosts an active community that benefits from effective knowledge sharing and support due to its deep research-backed design. That is not all, the company is also working with some of the top pharmaceutical companies, offering them customised and relevant insights through its advanced analytics platform and custom algorithms that operate across various disease areas, specific drugs, devices, or products. What cohort of patients is discussing a specific drug or side-effect? Which factors are contributing to various side-effects among patients? Which supportive therapies are patients resorting to for alleviating their side effects? What are the important issues to consider before embarking on a specific treatment? 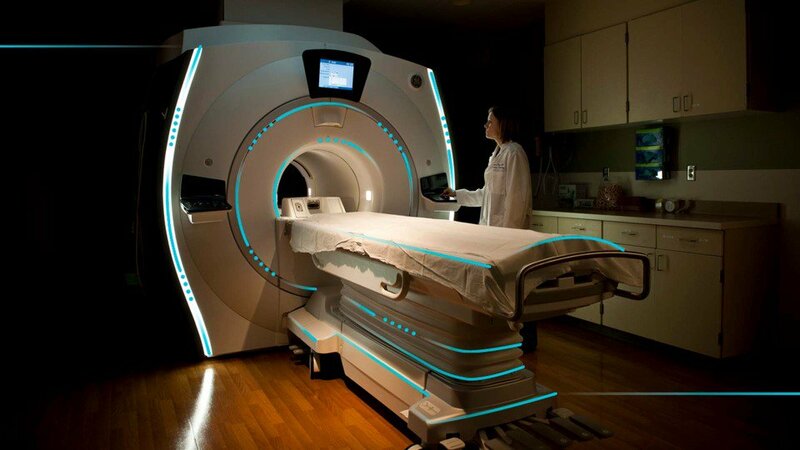 What are the factors affecting the quality of life of the patient? The information available in online forums and social sites is intrinsically unstructured in the form of emotions and informal conversation trails. Analysing this data requires deep, intelligent technology and advanced analytical techniques. 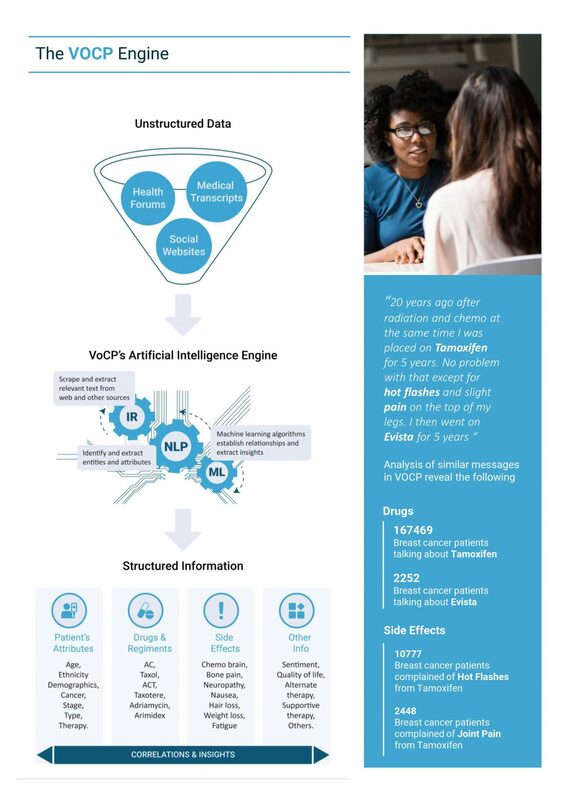 VoCP uses advanced natural language processing and machine learning techniques to scrapes and extracts data from multiple sources over the internet and further identifies relationships and valuable insights for the users by applying its NLP and machine learning models. For example, using VoCP, an analysis of 7,027 patient conversations regarding Xeloda revealed that 172 conversations were in association with angina attacks. Angina is severe chest pain and a symptom of coronary artery disease, and it is a less known side effect of the drug. Another analysis of 6,377 conversations among breast cancer patients regarding fertility maintenance showed that 116 patients stopped Tamoxifen (a chemotherapy drug) early to explore pregnancy options. Looking into the future, VoCP plans to expand its team to 50 people during the next three years and extend VoCP to non-cancer diseases as well. VoCP is a platform for Indian patients and South Asian patients because they currently have no such forum in this regard. Therefore the company is looking to partner with some of the major hospitals in India to promote access to online support groups so that many cancer patients can talk to each other in online forums and in person.